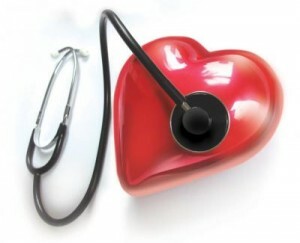 Welcome to another February; the shortest month, the month of love, and heart disease awareness. Heart disease is one of the most deadly in the United States. In 2008, over 616,000 people died of heart disease. Heart disease caused almost 25% of deaths—almost one in every four—in the United States. Look at yourself and your three best friends, at least one of you will get and die from heart disease. Heart disease also does not care if you are a man or a woman. More men die from heart disease than women, though it is still the #1 killer of women. Age also doesn’t mean that you can’t get heart disease. What really matters and can help you stay away from being the one out of four with heart disease is a healthy lifestyle. A healthy lifestyle starts with not smoking. If you ever have questions about quitting, just call the clinic and make an appointment for us to talk with you. Also, eating better and exercising does more than make you look more like Arnold Schwarzenegger and less like John Candy, it also helps keep down cholesterol and blood pressure. Both of these things are key factors in getting heart disease. This article contributed by Emily Decker, PA.